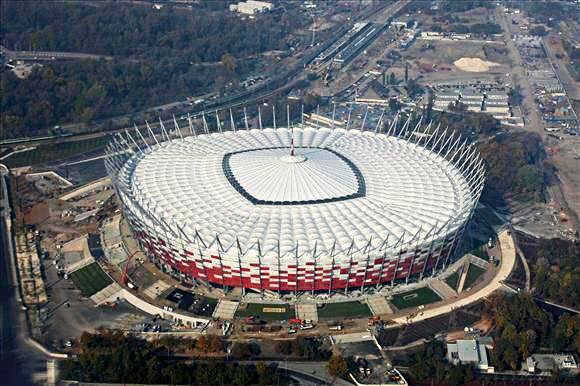 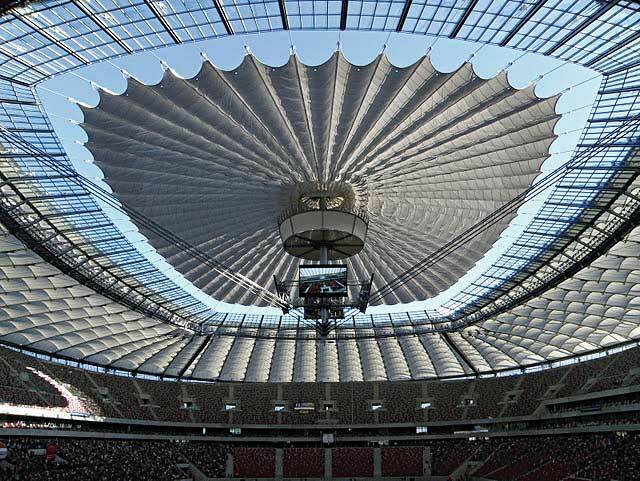 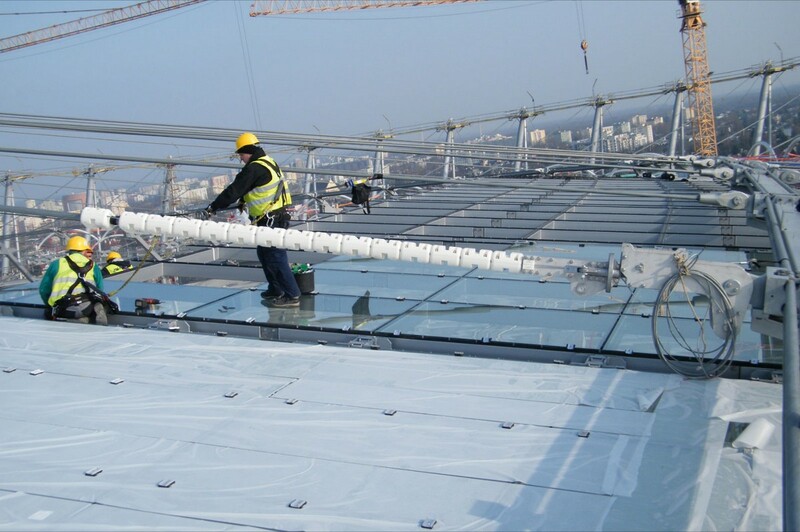 The retractable roof is made of a polyester membrane covered with PVC, which is flexible, long-lasting and highly transparent. 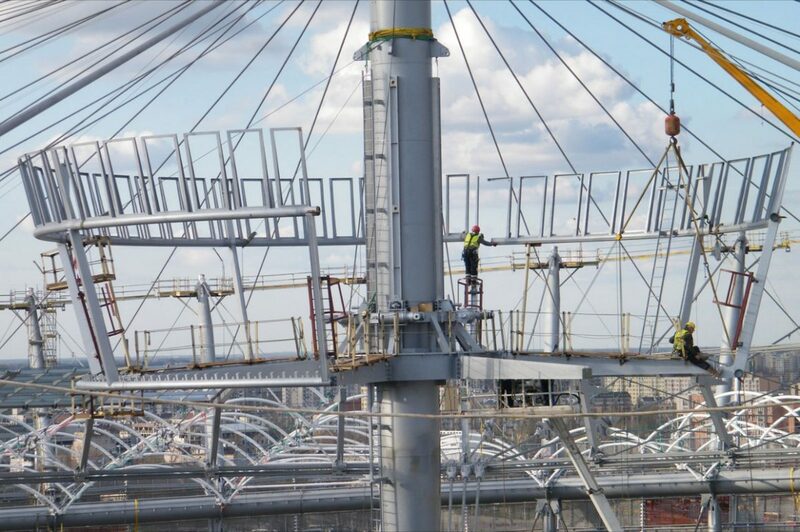 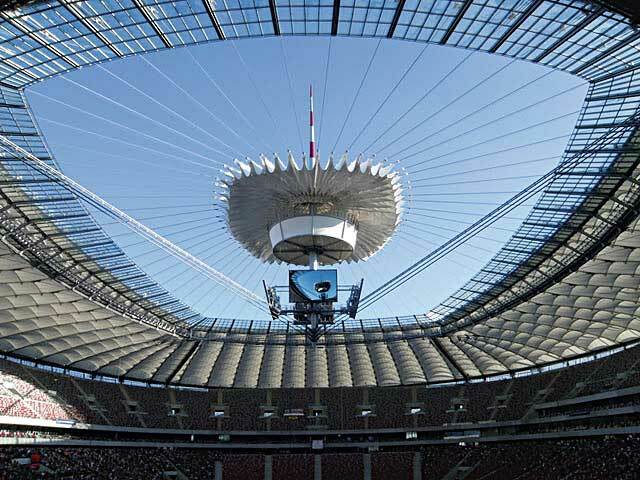 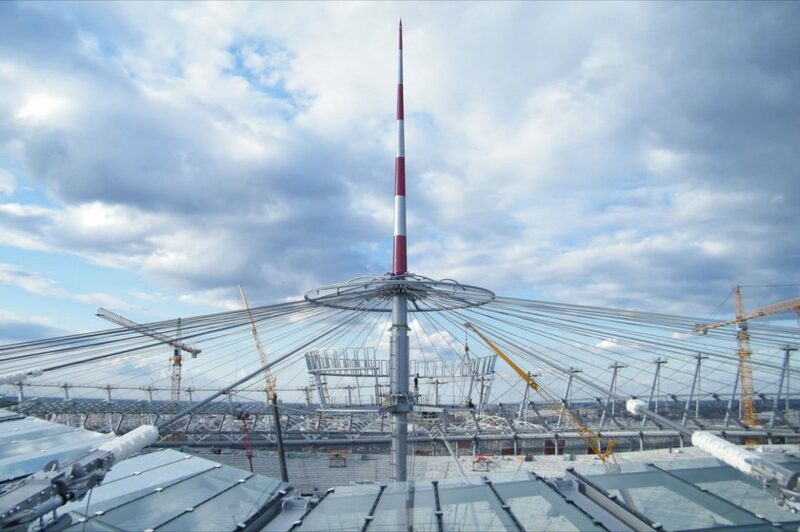 The radial cables that connect the upper tension ring with the center of the structure are the main components and form the retractable roof primary structure. 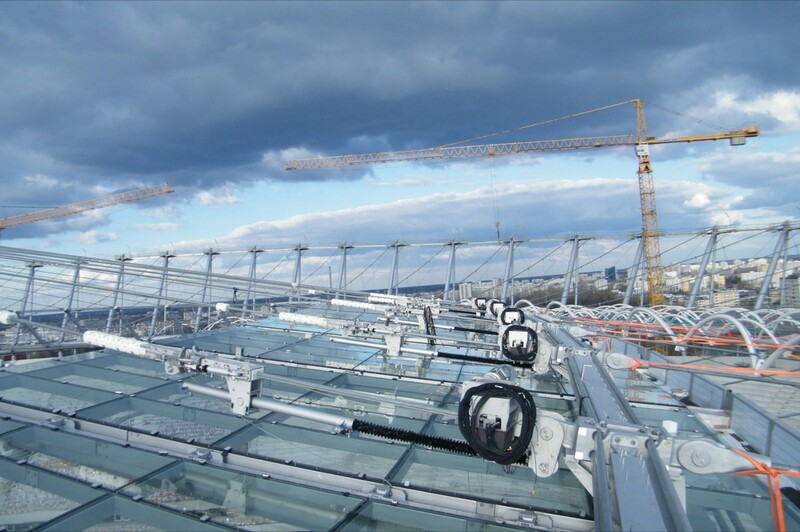 The membrane is connected to the cables by sliding carriages.